Good reporting is a necessity. Great reporting is a joy. Total transparency and actionable intelligence. 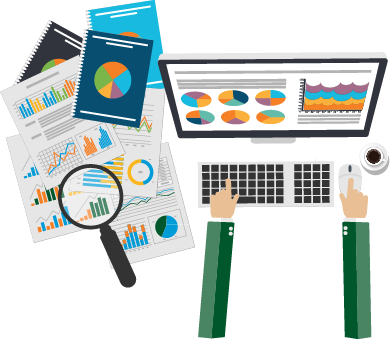 We provide this through high-level dashboards that allow you to drill down to even the most granular details of your business. Reporting and analytics for standard queries are built-in and custom reports are available as needed. Custom data feeds such as scheduling information, operating room utilization rates, and provider comparison data. We provide a seamless integration into hospital financial and EHR systems while working alongside existing billing resources. Fusion Anesthesia staff are the biggest consumers of our own reporting information. We constantly utilize it to proactively identify payment bottlenecks, slow payers, changes in the payer mix (such as a sudden increase in lower-reimbursing Medicare patients), and other financial trends that require prompt action. We believe the data exists to drive action. Our reporting goal is to provide not just information but insight.